Walking around the Princeton University campus, one can admire a fascinating permanent collection of twentieth-century sculpture. Many of the sculptures are part of the John B. Putnam Memorial Collection. Through this cache you will see first-hand most of the beautiful sculptures of this collection, as well as a few extra that are of interest along the way. I have not reproduced the history of the sculptures here, as there as too many, but I highly recommend that you take a look at the publication available below produced by Princeton University, either before or after the cache to truly appreciate the very interesting stories behind some of these sculptures! 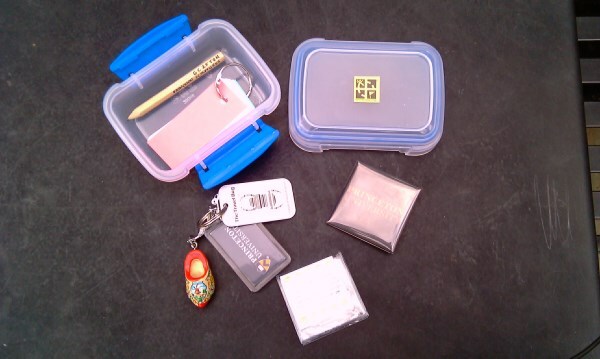 This geocache is split into two parts; each part will allow you to calculate part of the final coordinate. You will find one of the sculptures partly pictured in the grid below at each of the first 7 waypoints. Cross them off on the grid as you see them. Once you have been to the first 7 waypoints, you should end up with two ‘four-in-a-rows’ which can be either vertical, horizontal or diagonal! 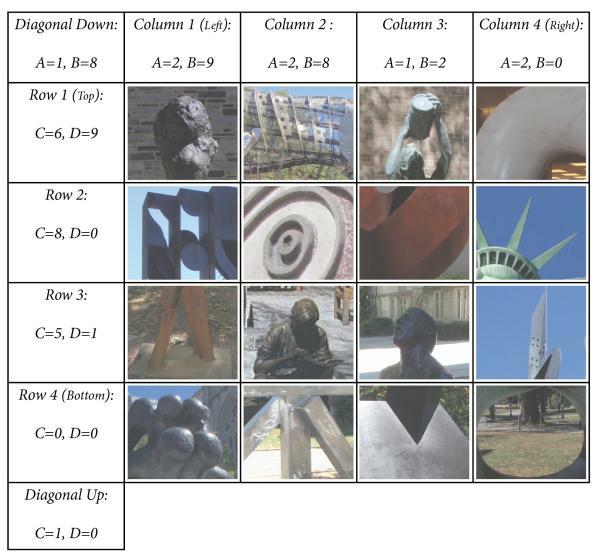 Reading off the associated caption around the grid will give you the numbers A, B, C and D.
Continue your exploration of Princeton sculptures with waypoints 8 to 13. For each the sculptures you encounter at the waypoints, answer the corresponding question. Waypoint 8: What is the standing figure holding in his hand? Waypoint 9: What can you find very close to the sculpture? Waypoint 10: Who designed this sculpture that depicts a symbol of Princeton University? Waypoint 11: How many bolts attach this impressive sculpture to the ground? Waypoint 12: At the base of the sculpture: “Author of the principle of ……”? Waypoint 13: Year of execution minus year of birth of original artist? If you wish, you can use the following link to check your coordinates!